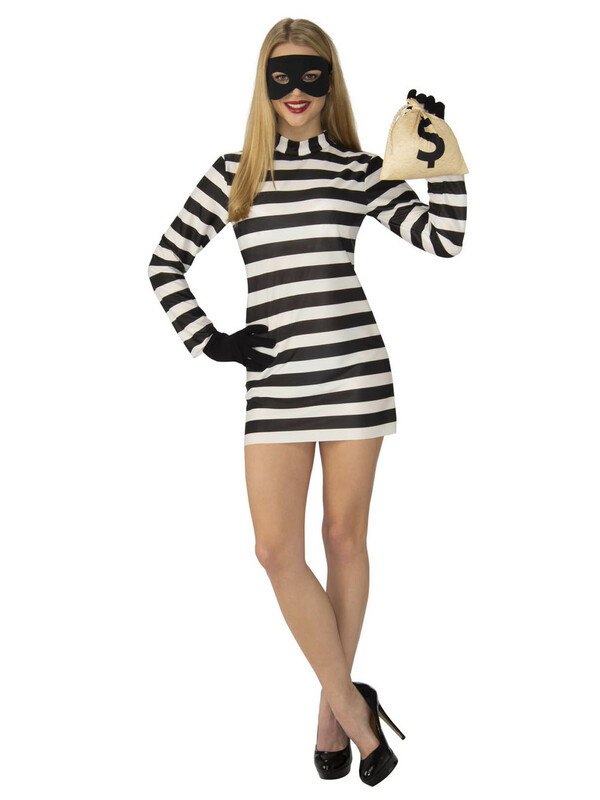 Steal hearts with help from the Burglar Missy Costume. 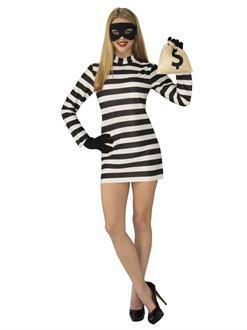 This playful ensemble includes dress, money bag, cap, eye mask and gloves. The dress features stripes in front but it black on the sides, which is much more fashionable than stripes all around. At our low prices, it’s a steal!